Start-rite Will boys school shoe. 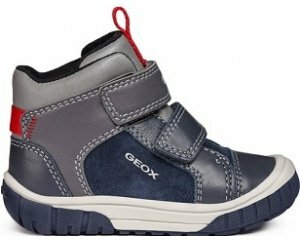 It features a soft leather upper with breathable leather linings that will help to keep feet fresh. 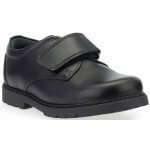 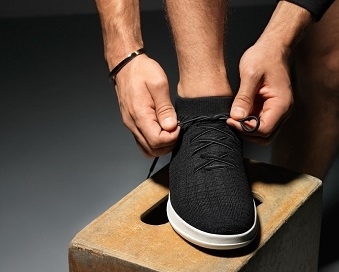 The padded ankle and cushioned insole provide lasting comfort, while the velcro fastening allows for adjustability and means the shoe can be slipped on and off with ease. 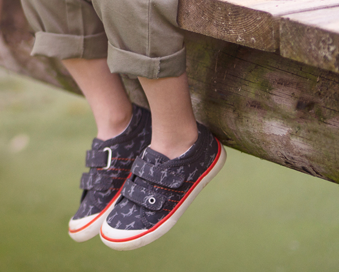 A lightweight sole with chunky treads makes Start-rite Will perfect for the playground!